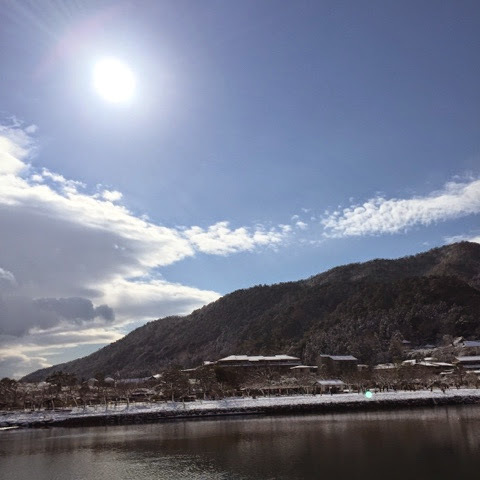 Day 9 - The day after a snowfall, we decided to make a trip to Arashiyama. Took bus 11 direct to the area is more convenient than taking the train because we had to change if we were to train there. 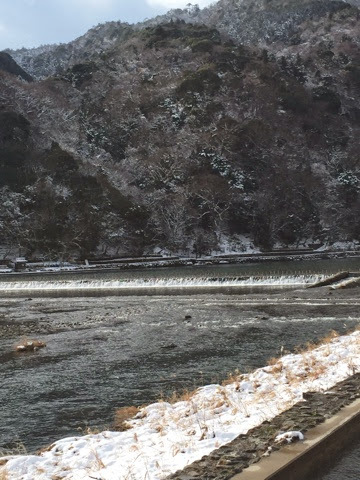 Did not expect the sight to be as pretty as we saw with our own eyes. A panoramic view of the place including the mountain on the right. 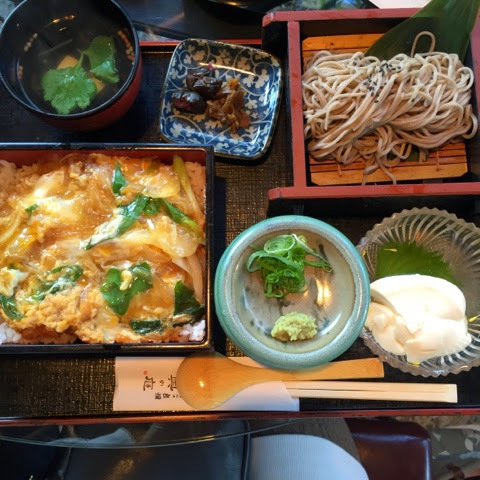 We had lunch at a restaurant right across Arashiyama bus station. There are many choices of places to dine at and this was just something we chanced upon because we were hungry in the cold. 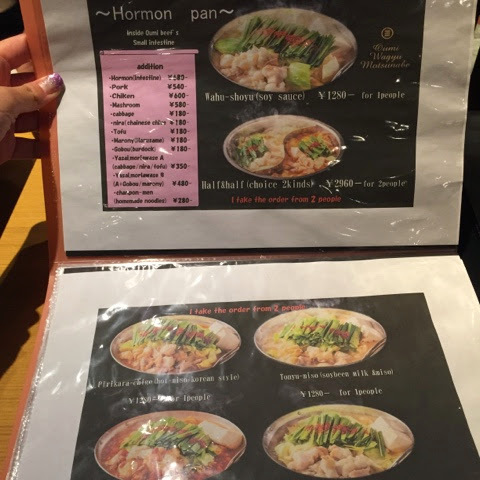 Cannot seem to find this restaurant online so here's some photos to help. 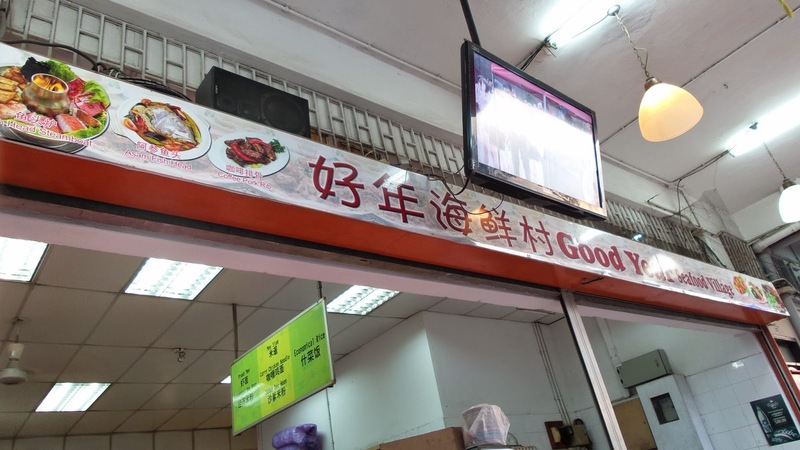 This restaurant seems to be specialized for its tofu and beancurd dishes. We thought their kaiseki sets are quite interesting and decided to order one to try. 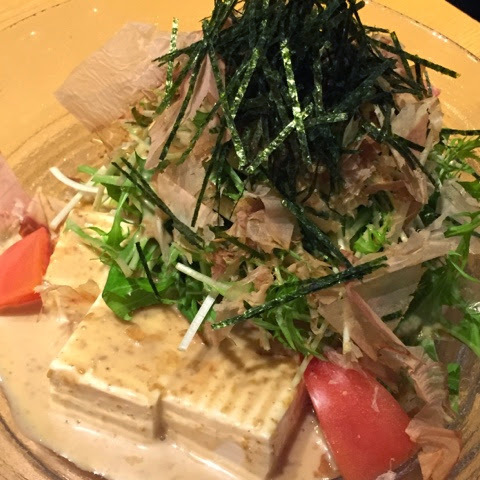 It is called shokadou lunch and yuba-tofu nabe. The hot pot is for two types of food. Clearly yuba and tofu. 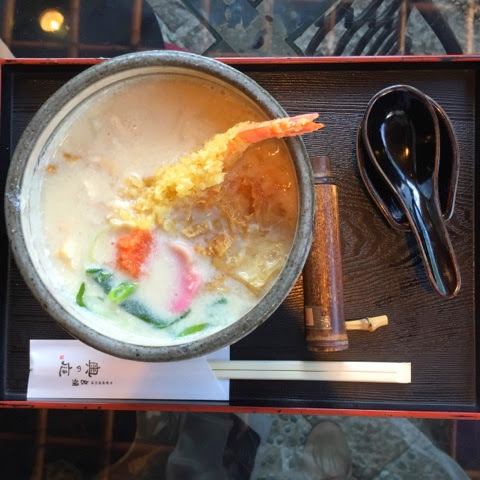 We also had a tempura yuba udon. See how the soup is different from the normal pork broth? 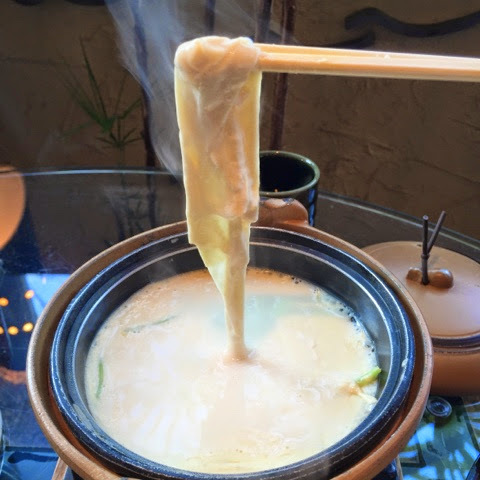 It is cooked from yuba and tofu to produce this collagen loaded udon. It was interesting and very tasty, even though there was only one tempura. 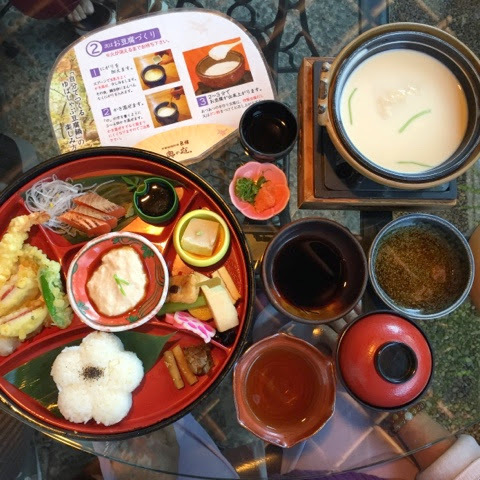 This was the kaiseki set which we ordered that came with a DIY tofu pot. There is an instruction paper which you may need to refer to. But the waitress will also explain once through with you. Step 1: let the pot boil and do not stir it so the yuba (tawkey) can form on the top. Dip the yuba into the darker sauce. Our katsudon was filled with creamy egg and crunchy onion slices and the sweet- savory sauce. Wheat soba was good though. I like the texture and how it blends so perfectly with the sauce given. 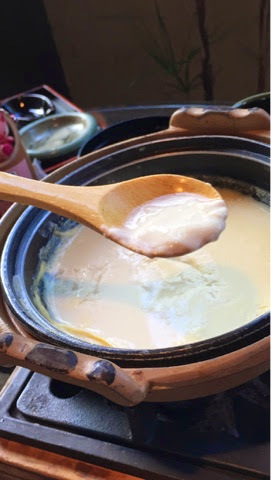 The tauhuey (tofu) aka beancurd is created after cooling with the coagulating liquid. Near the bridge you will see some trishaws lined up. 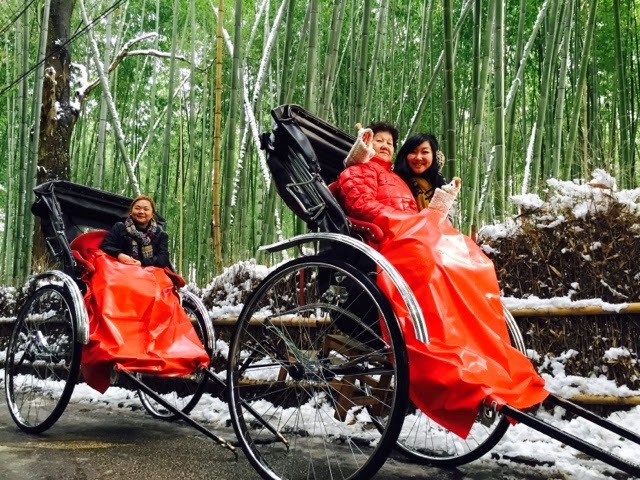 These young trishaw pullers get quite a lot of business a day and they are mostly Japanese who are taking them. So there is no need to worry about being scammed. 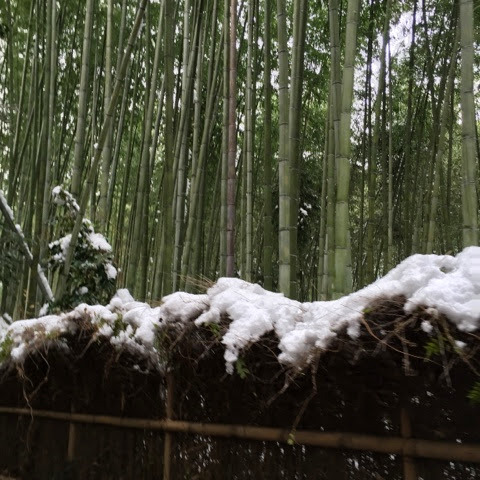 One way into the famous Bamboo forest costs 6000 yen for three pax. 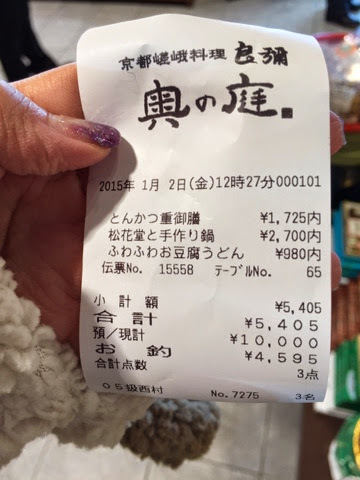 (10,500 yen for two way) Prices varies across number of people and routes. Our strong trishaw puller has been in this business for 7 years! 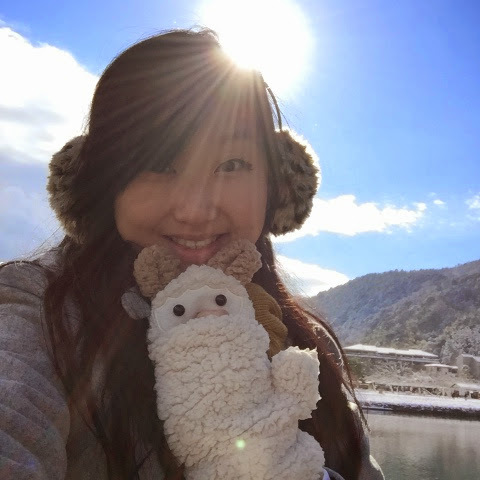 He's well versed in English and would engage you by sharing about the places of attraction he brings you past and also snaps awesome photos for you along the way. One way should last no more than 15mins. 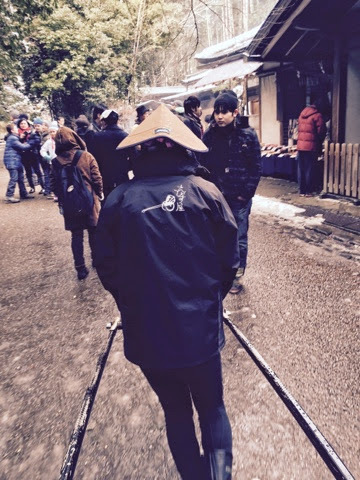 Into the beautiful bamboo forest which symbolizes good luck! Buy some goodies along the way as you should pass by many shops selling snacks and products. It is quite a touristy place so be careful of the crowd. For dinner, we ate early at Kuro, a shabu shabu place next to our boutique hotel. 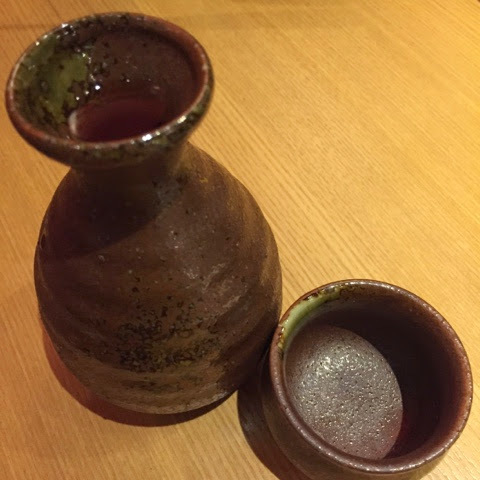 And we had warm sake (500 yen) to go along! Here's a tofu with sesame dressing salad to whet our appetite. It comes with seaweed and bonito flakes. I love sesame dressing for my salads as it adds flavour to the vegetables. 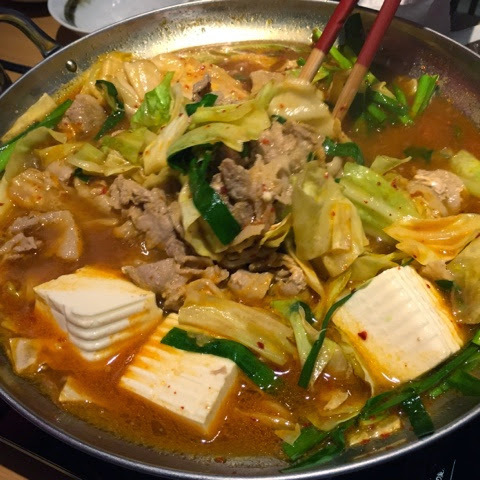 Here's our potful of spicy cabbage, tofu and pork slices. It is quite similar to a Korean style stew with the gojujang. The bbq hot plate chicken was a disappointment though. It tastes and smell like pepper lunch, only less tasty and has too much pepper that overwhelms the taste of anything else. Even the lemon didn't help much. 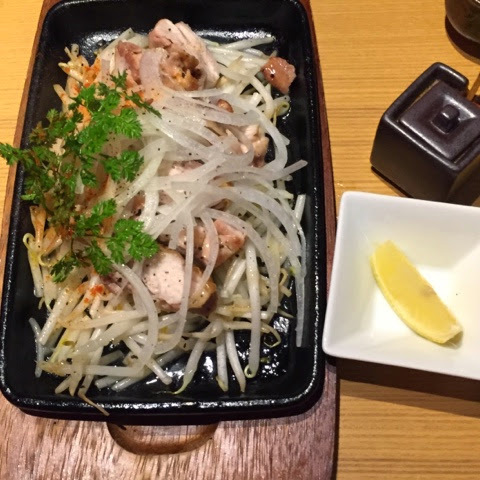 Too much onions and bean sprouts but the chicken was meagre. 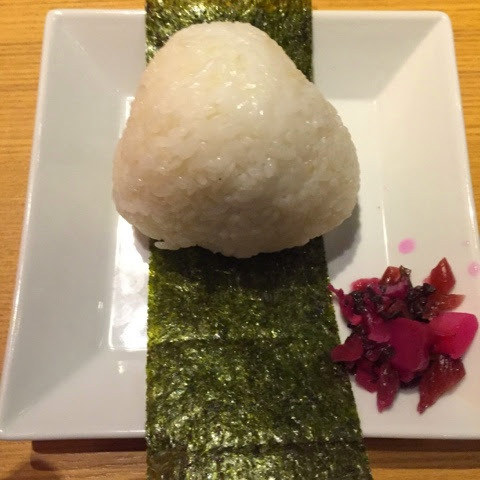 I had the onigiri which is stuffed with wakame. 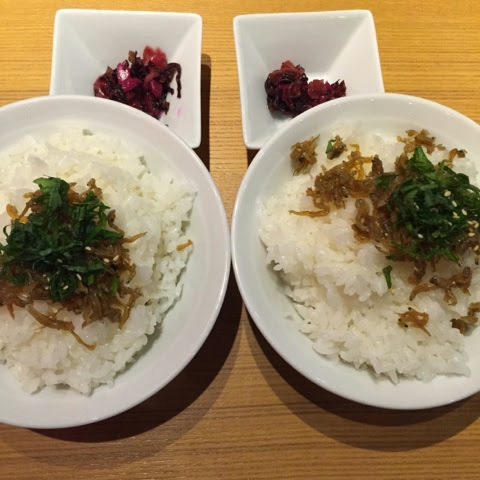 The warm rice triangle was placed atop a piece of fresh crisp seaweed and some pickles. Two bowls of rice with seasoned mini fish to go with the yummy spicy pot of vegetables and meat. 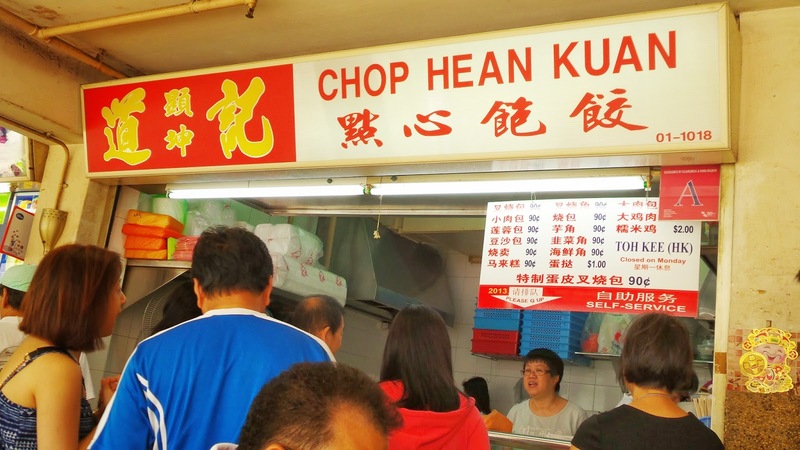 Most shop has English menu these days but I guess it is because it's located at a touristy spot! 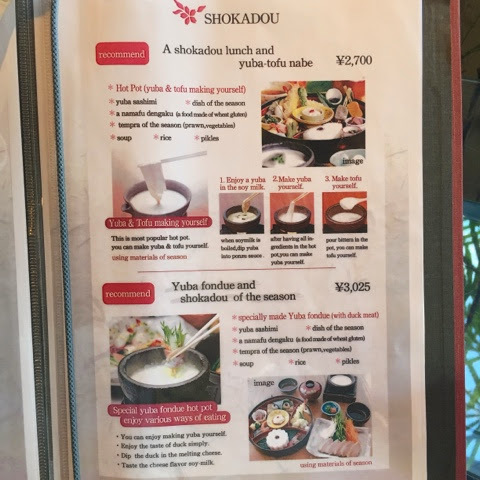 Our meal cost us 7500 yen! Pretty ex because the hotpot is charged by per pax. Most shops are starting to open as it is 2 Jan already but some are still closed. Do some research before you attempt to get to a place if you do not want to be disappointed. Supermarkets opens today onwards though. And many places are going on new year sale. 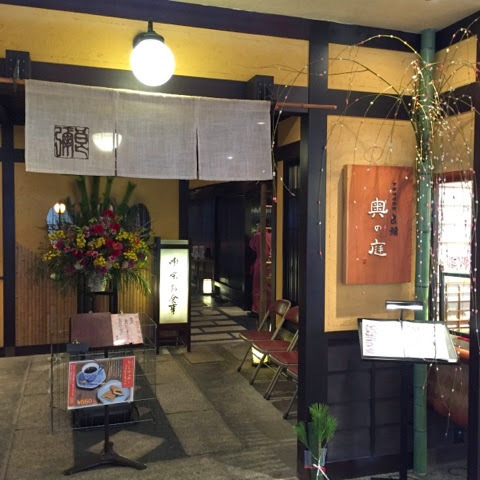 Japanese have a tradition to buy 福袋 home for good luck. But these bags of stuffs sold by shops may not be exactly the things you like, it is all about buying for the symbolic representation.